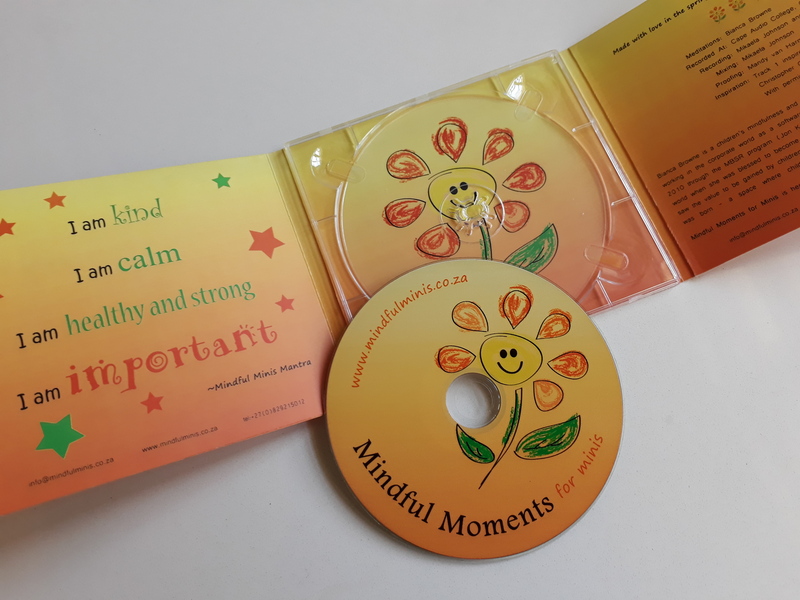 The album is a gentle introduction to mindfulness for all children aged 3 – 12 years old. The 8 guided visualisations on the album aim to nurture and strengthen a child’s spirit. They offer children an opportunity to be fully present and connect with the deep calm that exists within each of us. 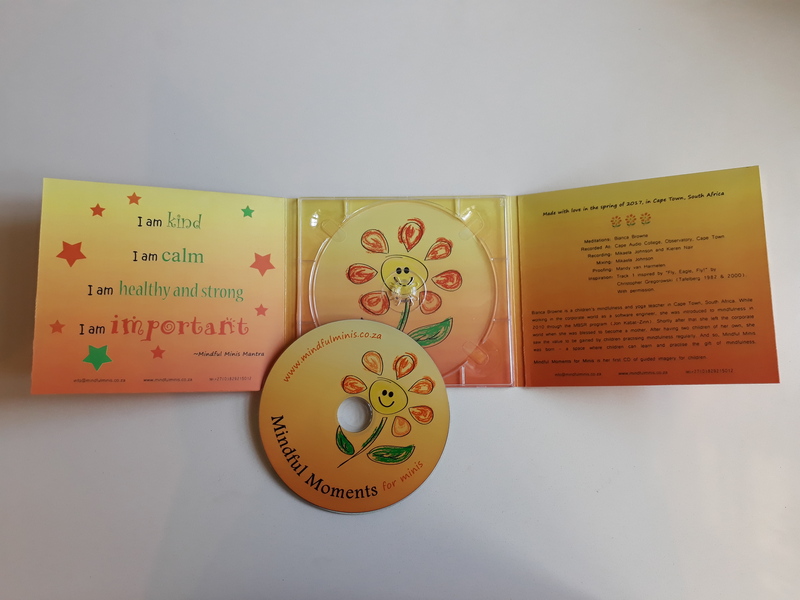 Children will enjoy listening to the fun and creative visualisations that aim to build confidence and boost self-esteem, while leaving them feeling peaceful and grounded. This album consists of 8 original guided visualisations suitable for all children aged 3 – 12 years old. The tracks aim to build confidence, creativity and courage while offering a child the opportunity to connect with the deep calm that exists within each one of us. 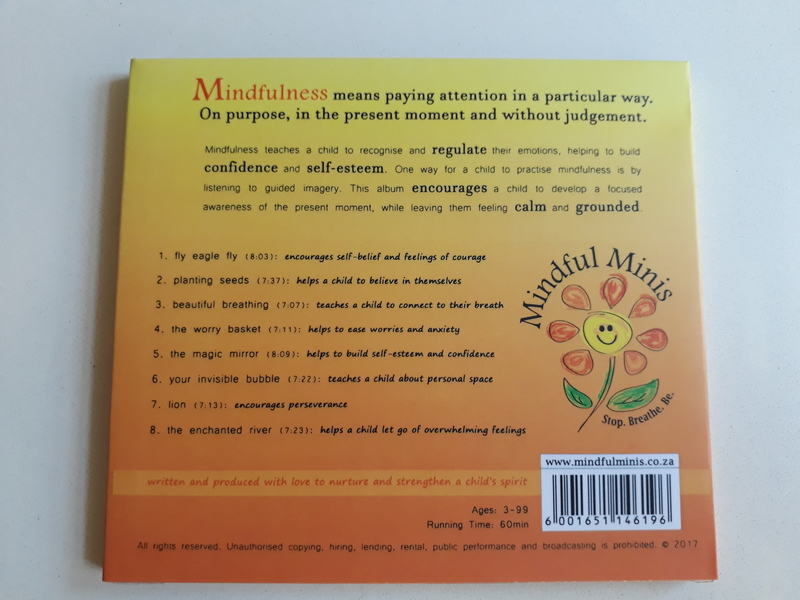 I purchased the Mindful Minis CD and it is so amazing! Both my daughters love their CDs and listen to them on a daily basis. Calming and relaxing it calms down even an anxious little one. Can highly recommend this CD to all! My daughter really enjoys it. I did not think she would listen to it as she has concentration problems – but she REALLY has so far! She loves the forest to castle one (track 5). You should do an adult one! I love it! We are so enjoying the CD! We listen to a meditation after stories before bed. The children love it as it acknowledges the deeper thoughts and activities of the day but focuses on positive thoughts before sleep. Wonderful. The last two nights we have done 2 of the meditations and the kids have gone down so well. The 2 boys are a little restless but getting into it but my daughter loves it! I am already looking forward to your 2nd CD. 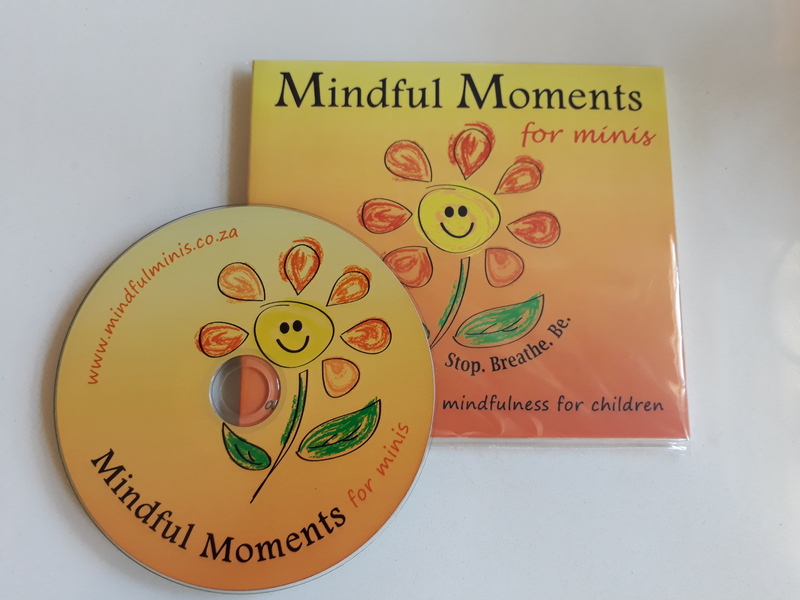 We’ve been using this CD at school (in KZN) because we start the day with 15mins of mindful time, and the kids have loved it! Thank you so much! Our Cds arrived safely and all I can say is wow! My little one absolutely loves the meditations. Her favourite is “Planting Seeds”. Thank you for an amazing tool for our toolbox. Highly recommended. I played track 4 for my children every day until they started school and I know it helped them with their anxieties so thank you! Today we played the lion track as my daughter struggles with perseverance at times. She really enjoyed it! Thank you for your beautiful work and making a difference in children’s lives. we have been enjoying mindful moments so much! Today when emotions got a bit much for my little one she lay down and listened to two tracks and was a different person after. After our bedtime reading I put it on again and she literally fell asleep hugging my phone that I was playing it on. Really really lovely! Well done! And thank you!